Holly Trees are not seen much in colder regions, but the Blue Prince Holly is different. 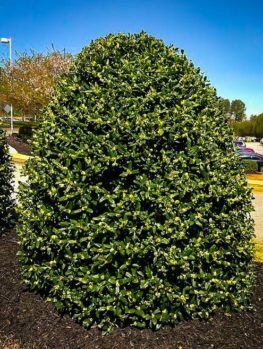 This rounded shrub will thrive all the way down to minus 30, so even in cold regions its evergreen beauty will turn your garden from drab to exciting. It forms a neat dome which can also be also clipped into a small or medium-sized hedge. The Blue Prince Holly will thrive in full-shade, so it is ideal for dark corners and shady spots. 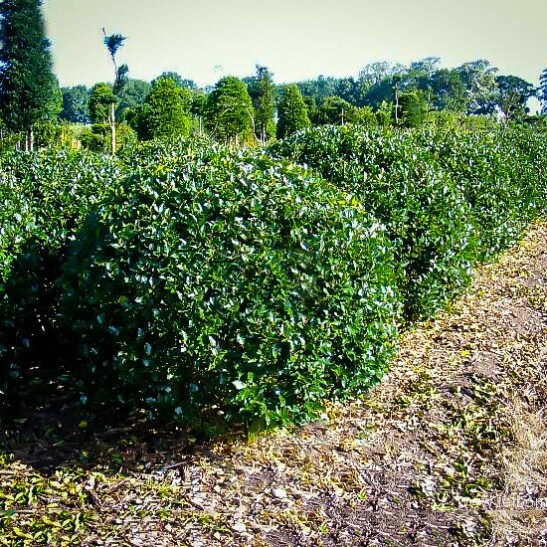 Its glossy evergreen leaves are always attractive and only your imagination limits the forms that can be grown, from perfect balls to cubes and pyramids. Left alone it will grow into a natural dome shape. 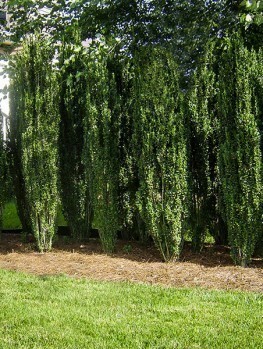 Its evergreen foliage is glossy and a rich-green color in all seasons, giving permanence and structure to your garden. 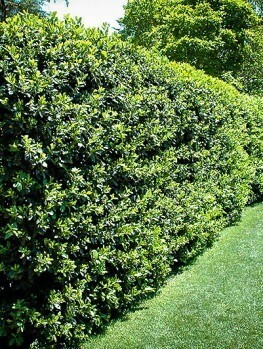 Shrubs have countless uses in the garden, in fact probably more than you’ve ever realized. 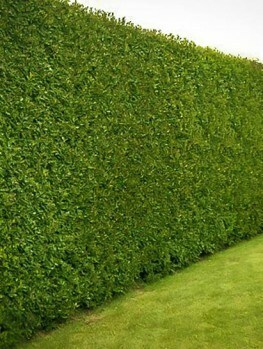 Have you noticed that when a new home or building goes up, landscapers always plant shrubs first? This is because of their versatility and attractive appearance. Their foliage provides that visual appeal that is entirely missing when a new build is completed. 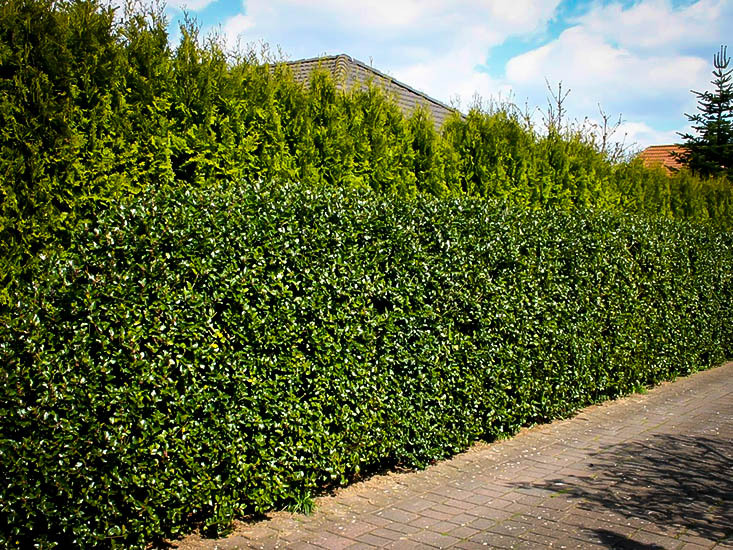 Potential buyers will take more notice of a property with some shrubs growing around it than of an identical one standing in a patch of bare ground, which instantly makes it a more attractive investment and increases the likelihood of it selling. Many gardeners then construct their landscape designs around the shrubs that are already there and go on to turn their new garden into a beautiful outdoor space. Low maintenance, well thought out garden designs, even in their infancy, help raise the value of the property and, as the garden matures, you are likely to see an increase in value by as much as 20%. Because the Blue Prince is evergreen there is very little change to the plant in the autumn and winter, however the foliage will take on a slightly purple tinge. The Blue Princess variety pairs very well with the Blue Prince and this should be a consideration when deciding to add this shrub to your landscape design. Unlike the Blue Princess, the Blue Prince does not produce any berries in the fall. By incorporating both the male and female versions of this shrub, the females will be well pollinated by the males and can produce extraordinary amounts of berries in fall and winter. Blue Prince is suitable for USDA plant hardiness zones 4 through 7 and is quite capable of handling the cold winter season in Montana. 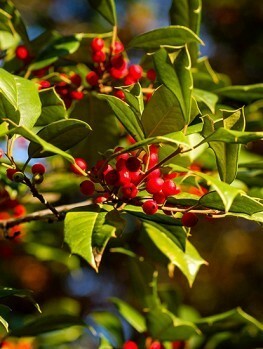 Virginia and Georgia are obviously much warmer climates and have relatively mild winters, but this holly variety is still quite happy thanks to the plant’s origins. 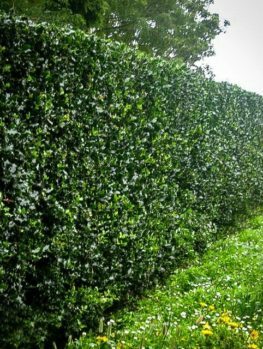 In open windswept locations you will want to ensure that the holly has some protection, whether it is provided by other plants close by or by planting it close to a house or other building. They thrive best in soil that is average weight with a moderate level of moisture. Blue Prince is also highly adaptable to both light and heavy soil types, but is easier to grow in acidic soils that are rich in organic material and have extremely well drainage. The Blue Prince is tolerant of light shade but performs best in the full sun. Due to the shrub’s adaptability to various climates and soil conditions it makes an excellent candidate for spaces in your garden where other plants might have difficulty thriving. Hollies also attract a wide range of birds who love to play and shelter in the dense foliage of the shrub. Pruning of this species is not necessary, but that of course depends on whether or not you want a more natural or a refined garden space. If you are particular about over-growing branches and foliage, the holly is best pruned during the spring before new growth emerges. Removal of dead or dying branches and leaves throughout the rest of the year is acceptable. As the Blue Prince is the male variety of this species, we do recommend coupling it with the Blue Princess variety to achieve optimum growth and visual appeal. Of all of the hybrids in the ilex meserveae cultivators, the Blue Prince is without a doubt one of the most popular. As it is a strong pollinator it will ensure the female varieties of holly in your garden are pollinated effectively which in turn will help them produce even more stunning foliage and copious amounts of their trademark red berries. Even on its own, the Blue Prince is a shrub that can enhance any location it is placed. 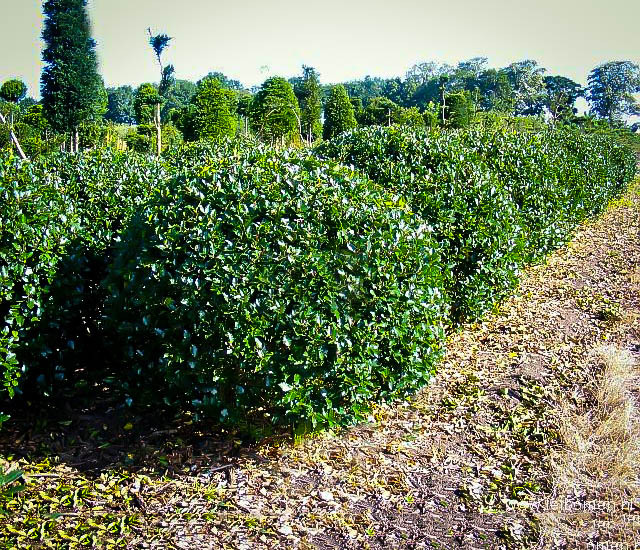 The Blue Prince is a hybrid of the Ilex aquifolium and Ilex rugosa and was first introduced in 1972. The initial hybrids were devised by Mrs. F Leighton Meserve of St. James, New York. By hybridizing these species the intent was to create plants that were hardy to the colder climates, as most hollies are found in temperate and subtropical regions around the world, and Mrs. Meserve was able to do just that with this species. 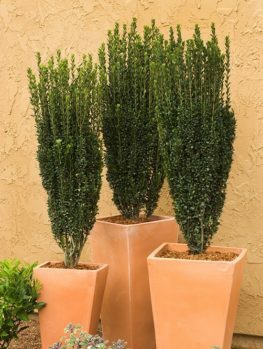 It is an extremely robust shrub that reaches heights and widths of up to twelve feet; however unless conditions are perfect its average growth is slightly smaller. 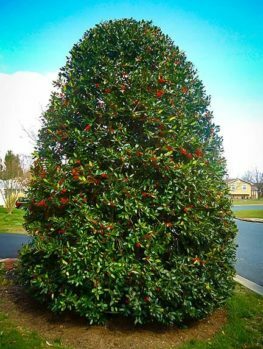 It is a broad upright growing shrub that is also an evergreen, meaning that it will hold its color throughout the entire year. It has a very irregular growth pattern and does not hold to a specific shape which just adds to its visual interest. This holly sports dark purple stems with gleaming, dark green serrated leaves that often appear with a blue hue. Each leaf has tiny growths that can be best described as spiny. Small white flowers appear in the spring and are generally inconspicuous. Because this is a male holly that produces an abundance of pollen over the spring season, it is an exceptional pollinator for many female holly varieties.